About once a week I make rice and beans for dinner. I wish I could say that it's part of a "more plants" menu plan. I'd be fine with that, but I live with three men (one large, one medium-sized, one smaller) who are ardent carnivores. Rice and beans may be plants, but in our house they are generally decorated with meat: bacon, sausage, ground beef or turkey, leftover steak or pork chops, whatever. 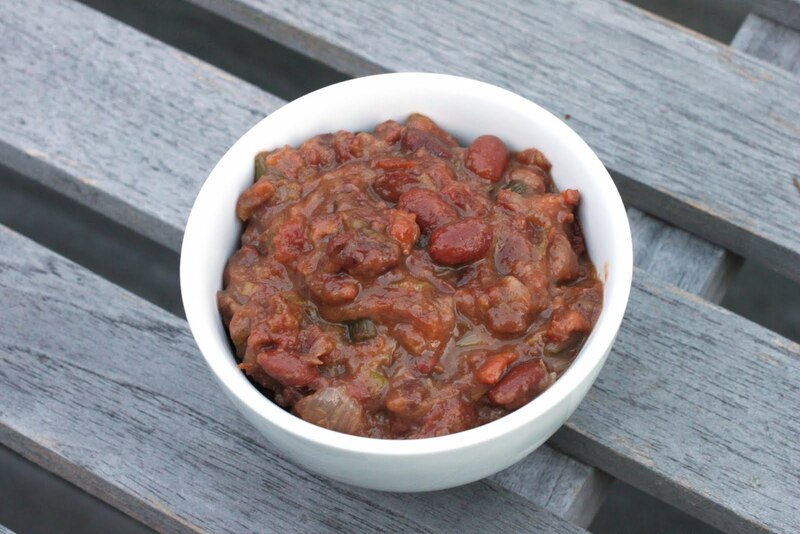 A few months ago, in a rare spurt of home organization and planning ahead, I made a huge pot of pinto beans in the slow cooker, divided them into zip-top bags, and threw them in the freezer. I took one of the bags of beans out recently and combined them with garlic, onions, tomatoes, and the adorable Saag's Kabanossi Pepperettes Snack Sticks I brought home from Camp Blogaway. The Saag's Snack Sticks were smoky, chewy and a little spicy, and they brought the beans to life. You know how pinto beans are: They don't taste like much on their own. It's the other stuff you put in the pot that really makes a difference. 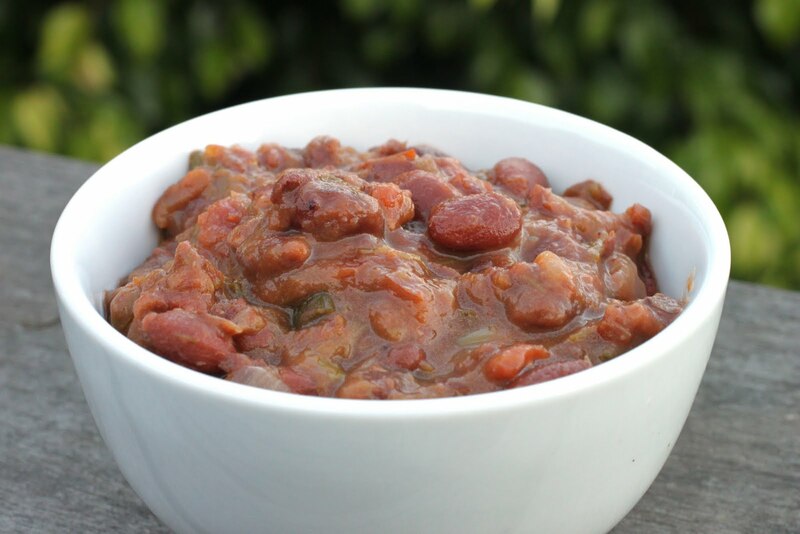 Serve these beans over rice for a hearty, fairly healthy dinner. We also like them wrapped in soft flour tortillas, ladled over scrambled eggs, or just scooped up with tortilla chips. They're pretty good cold, too, if you're packing lunchboxes. Dress up your rice and beans with smoky, spicy sausage. Perfect for a less-meat (although not meatless) dinner. Heat the oil in a large pot. Saute the onion about 5 minutes. Add the garlic and cook 1 minute more. Add the diced Saag's Kabanossi Pepperettes and cook another 2 minutes so the sausage begins to render some of its fat and the flavors meld.Add the pinto beans, tomatoes, chili powder, and a good dash each of salt and pepper. (If using canned beans, go light on the salt.) Bring to a boil, turn down the heat, cover the pot, and simmer the beans at least 1 hour, stirring occasionally.Serve over rice, with shredded cheese, tortilla chips, hot sauce and limes on the side. Hi Erika: Love the idea of storing the beans in Ziploc bags in the freezer - I wish I had a few of those stored away! I have to try this, and I can't wait to try the sausages too (I, too, have one large and two smaller men at my house - none of whom can imagine a meal without meat). I don't know about the sausage, but I love beans!